Stories | Community Options, Inc. Some of the success stories about individuals who receive support from Community Options across the nation. 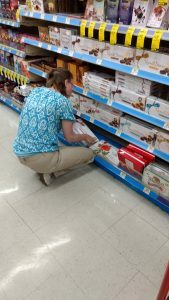 After completing Walgreen’s Retail Training Program and learning all the skills needed to succeed in the workplace, Kayla was ready to find the job of her dreams! 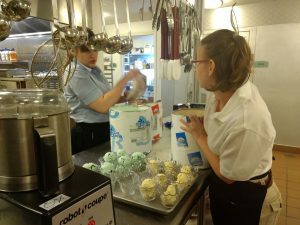 Kayla quickly found employment at a senior living community, where she works as a server. She loves her job and is really excelling! 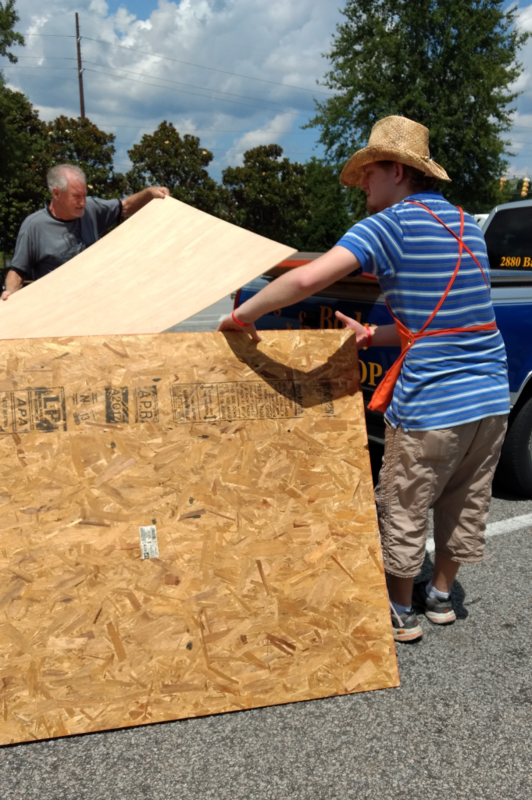 Ben Finds Employment at Home Depot and it’s a Perfect Match! 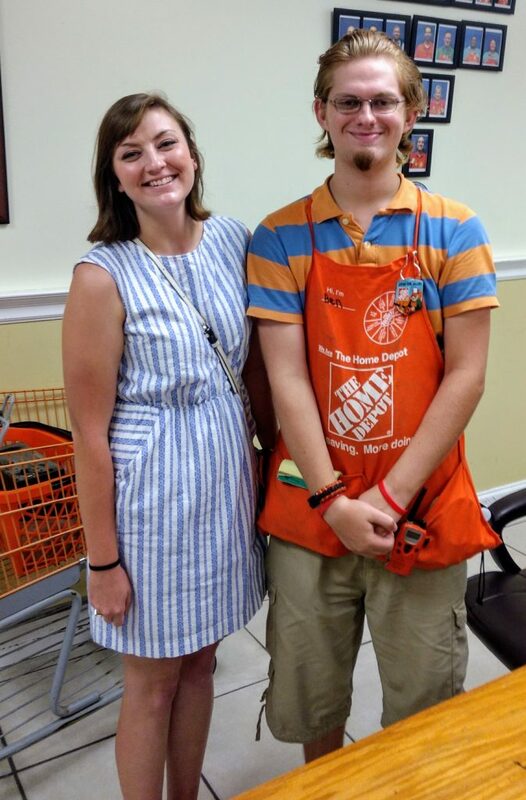 Ben, who graduated from high school in 2016, began his job as lot associate at the Summerville, SC Home Depot this past July. “It’s really a perfect job for me,” says Ben. “I can be a little shy but I help customers load up items to their cars or bring items back to the store, so it helps me with my shyness. 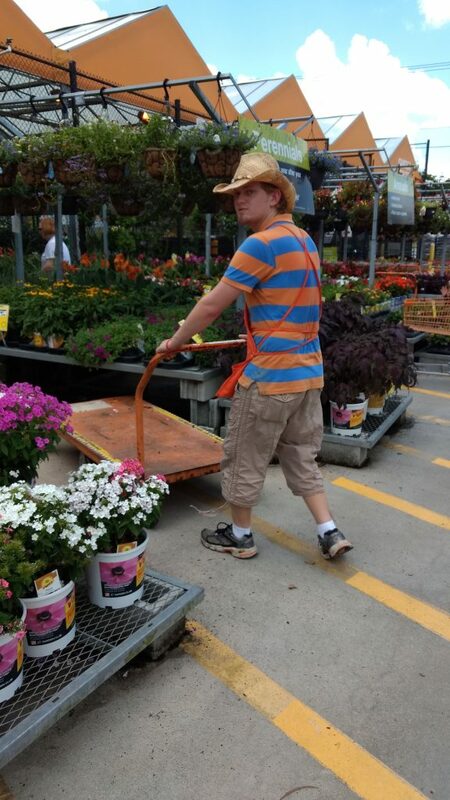 I like the work and I like to help customers.” Ben was recently awarded a “Homer Award Badge”, which is reserved for the best Home Depot employees who go above and beyond! Ben proudly displaying his Homer Award Badge, which is reserved for the best Home Depot employees who go above and beyond. 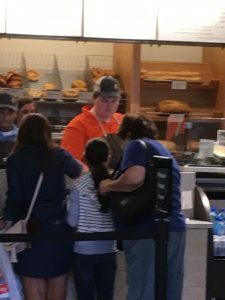 Kaczey recently decided that instead of being at his day program, he wanted to find employment. He knew that he could be independent and handle all the responsibilities that come with having a job. With his team’s help, Kaczey scheduled multiple interviews. 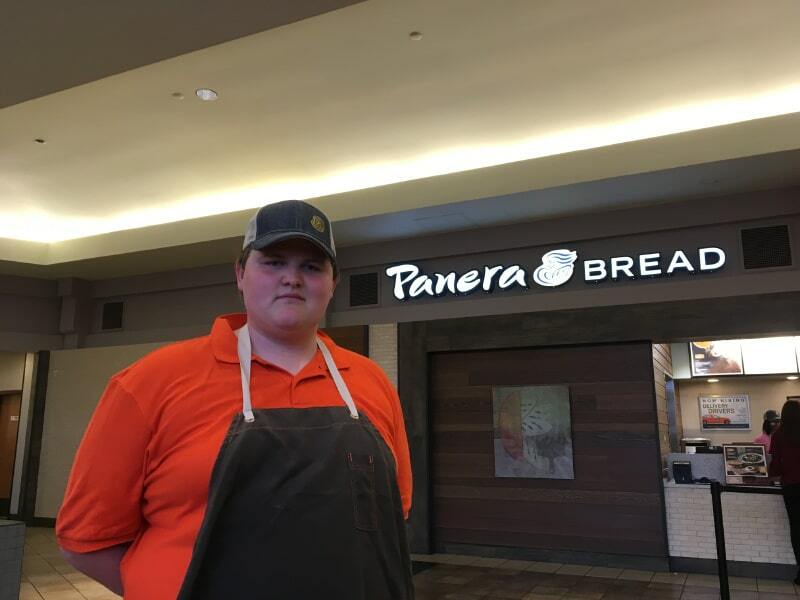 In roughly one month, Kaczey was offered a position with Panera Bread! He gladly accepted and had a great first day as you can see from these pictures! Evelyn is a very loving, outgoing and active young lady. When you walk into the Hillsborough office in Somerset county on a Wednesday, Thursday or Friday afternoon, you are greeted with her warm smile. She is always ready to give a compliment and make you feel good inside. Evelyn started working with Community Options, Inc. in October of 2011. She was hired as the receptionist to our Administrative assistant. She is quick to jump up and ask how she can help you. Some of her responsibilities at the office are answering phones, checking grocery card amounts, replenishing supplies, filing, picking up mail, making copies as well as the overall upkeep of the office. A hard-working employee, Evelyn is very much prepared for any new task sent her way. She strives to ensure that whatever she is assigned to do, that she completes it 100%. 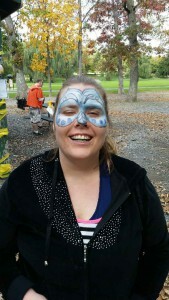 Evelyn does not live in a residential program run by Community Options, Inc., however, she is part of our family. If she knows someone birthday is coming up, she will make sure that no one in the office forgets. She will get them a card and have everyone sign it. She knows how to make people feel good. I think she teaches us more than we can teach her. We are so proud of all her hard work and her great opportunity to work in the community. Evelyn has many skills and abilities that are being utilized and we are happy to be part of her growth. Evelyn is active in other ways in her community. She is the President for “Advocates for Change” and Vice President for The New Jersey Statewide Self-Advocacy Network. She was recently acknowledged with the ‘Collen Fraser Self-Advocate Award for all her efforts in advocacy and leadership. Evelyn is an avid, long-time competitor in the Special Olympics years, winning gold medals in the 15 meter dash and softball throw. When she’s not busy, Evelyn enjoys quality time with her family the most. 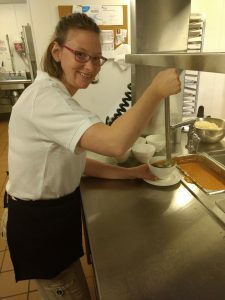 She also enjoys being with her group home, preparing for Olympics, her pet fish, bowling, being the cook of the week, movies, shopping, and enjoying special occasions. 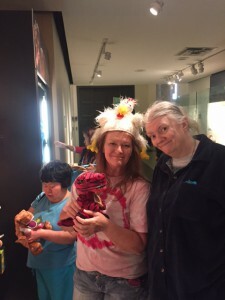 May 11th 2015 – Peggy (on the right) at the NYC Museum of Natural History’ gift shop. The first time I met Peggy H., she was at her old day program, sitting slumped over with her hearing aids turned off. She was under weight and overdressed; she had two pairs of socks on, two pair of pants and four shirts. She seemed so sad. The day program reported this was how Peggy spent most of her time there. The respite agency said they had difficulty getting her to eat and shower on a regularly basis. 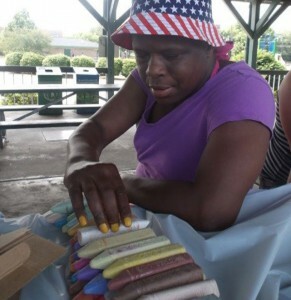 Peggy moved to Savannah group home on January 12, 2015. Presently, Peggy is the happiest, loving and most cheerful individual anyone could ever meet. She has become best friends with her housemates and loves to go to concerts, movies, festivals and fast food restaurants. Peggy has planted her own garden and enjoys making special artifacts to decorate her loving home. She is very independent and has gained notoriety for her helping hand. Peggy is so thankful to the wonderful staff at Community Options for helping her overcome challenges to live life to the fullest! Rickie Lee F. is a 27-year-old woman who came to Community Options in 2012, having lived in Philadelphia prior to the move. Before the transition, she was living with a family in Life Sharing. Rickie enjoys children, doing arts-n-crafts, shopping, listening to music, spending time with her boyfriend, work and going to the local amusement parks, Dorney Park & Wildwater Kingdom. Rickie has achieved so many levels of success since moving to Community Options in Lehigh County. She had significant behaviors, which were very serious when she moved into the nonprofit. Now, her behaviors have almost completely disappeared and she is living a very happy and productive life. Her name is Celica L., but she prefers to go by the name “Lisa”. In her mid-40s, Lisa loves going to the Crayola Factory, riding the rides at Dorney Park & Wildwater Kingdom, taking walks and getting her nails painted. Of African American descent, her hobbies also include coloring, stringing beads, riding a stationary exercise bike, attending Equestrian Therapy at Monito Life Center and playing with her blocks. Lisa came to Community Options in 2012 from the Whitehaven Center and has since flourished in her new community, learning many new words and talking a lot more.